That would make her 114-years-old. According to Wikipedia, Ford is listed as the fourth oldest living American supercentenarian. If the census bureau documents hold up, she would jump to number one on the list, just ahead of Lessie Brown of Ohio. 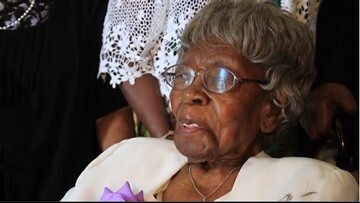 Brown will turn 114-years-old on September 22.